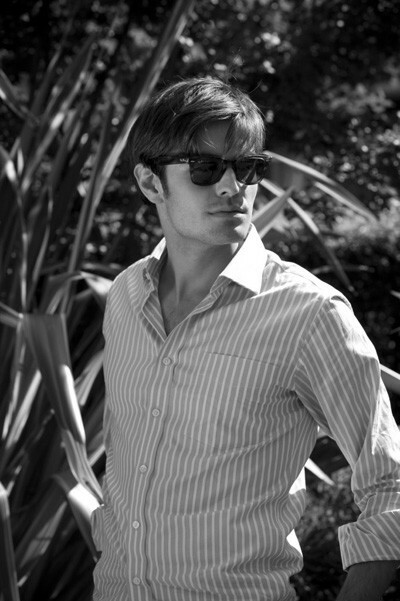 Every shirt made by Henry Herbert is individually crafted to an impeccable and perfectly-tailored finish. 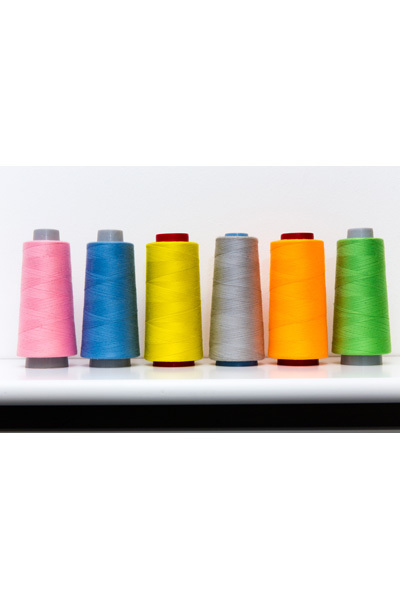 We take a number of measurements, including your sleeve length, collar, chest size and waist size. We have a selection of over a thousand fabrics, and a choice of collar and cuff styles to match your preferences. With our dedication to traditional, tailor-made fashion, we believe these are the best bespoke shirts London has to offer. We also offer monogramming services, for the ultimate personal touch. And we work with a simple rule: if a shirt doesn’t fit a little, it doesn’t fit at all. If you’re thinking of choosing a casual shirt, you might want to pay close attention to the Shanghai tab collar shirt, and specifically to what’s happening around the neck. Now available from us for the first time, they have contrasting colour stitching on the cuffs and around the buttons. 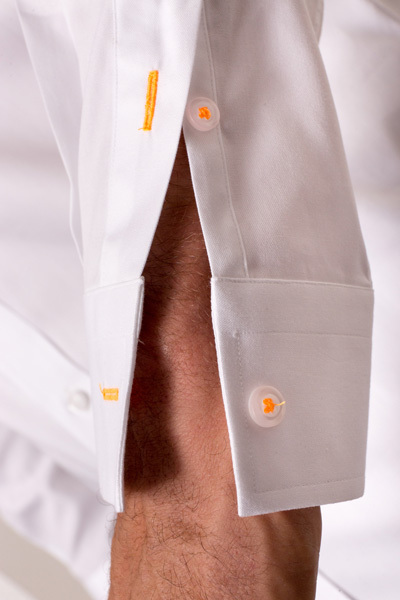 Made from pure Italian cotton, our shirts are made from scratch and to the individual measurements of each customer. A shirt such as this takes 4-5 weeks to make, unless you opt for our Express Service. We always have a baste fitting before the shirt is finished and delivered. 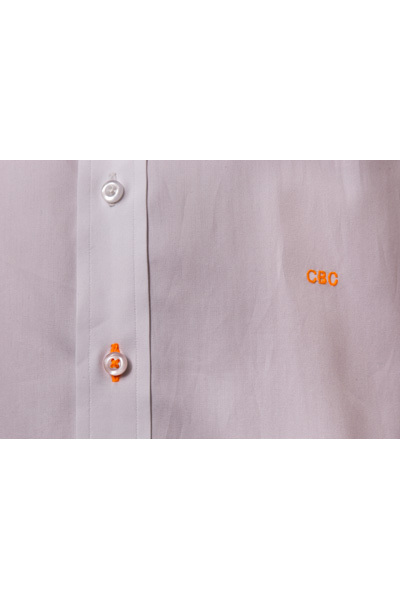 The cotton is from Italy, and the embroidery and coloured button stitching finished by hand. Every one of our shirts made by hand. But why choose a bespoke shirt? You will find the difference in the fit, the fabric and the construction. And remember: a shirt that doesn’t fit a little is a shirt that doesn’t fit at all. After experiencing a fitting first-hand, you will truly begin to appreciate just how much work goes into putting together the perfect shirt. To make your shirt a perfect fit, over a dozen upper body measurements will be taken. It will match the precise contours of your shoulders, your preference for cuffs & collars, as well as your habits of watch wearing. Our shirts take between four to five weeks to make – quicker if you wish to use our Express Service. 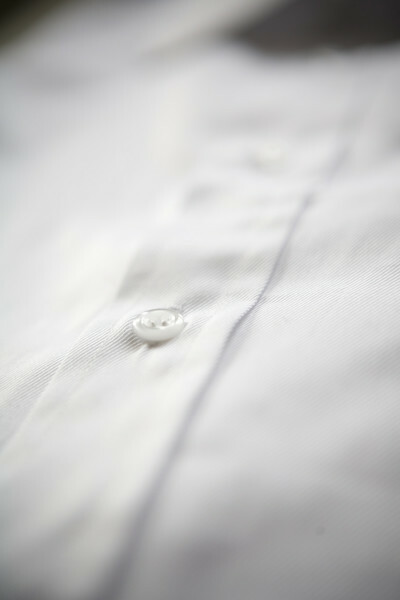 Every Henry Herbert shirt comes with mother of pearl buttons and each one is finished with the finest single stitching. See also: bespoke shirts & bespoke suits, bespoke tailors, london shirt makers. 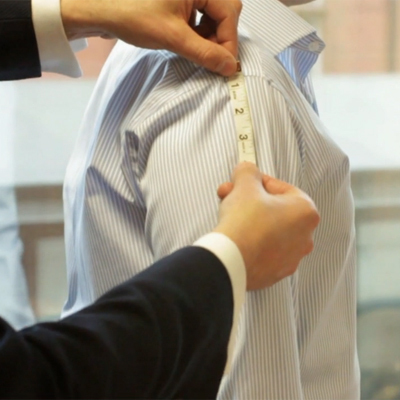 To make your shirt a perfect fit, our expert tailors will take over a dozen upper body measurements. It will match the precise contours of your shoulders, your preference for cuffs & collars, as well as your habits of watch wearing. Our shirts take between four to five weeks to make. 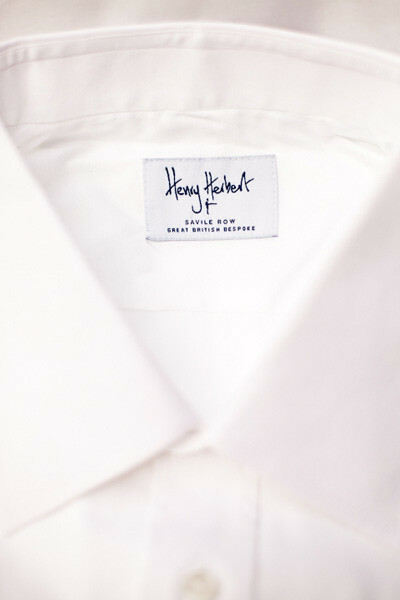 Every Henry Herbert dinner shirt comes with removable brass collar bones, mother of pearl buttons and each one is finished with the finest single stitching. Our dinner shirts are from £180. 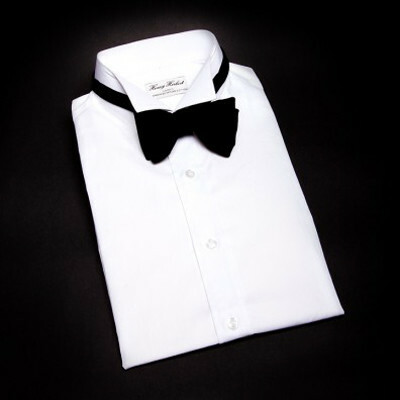 See also: bespoke dinner shirt, black tie, marcela dinner shirt. We also make bespoke weekend shirts. With a more relaxed fit and softer fabrics, the shirts will fall across your body with a more gentle positioning. 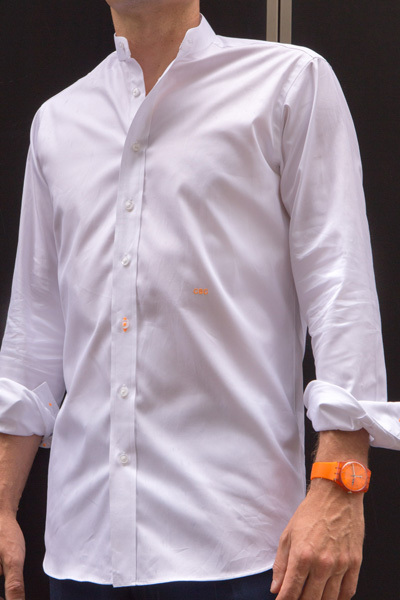 The shirt shown opposite is made from a glorious Sea Island cotton. 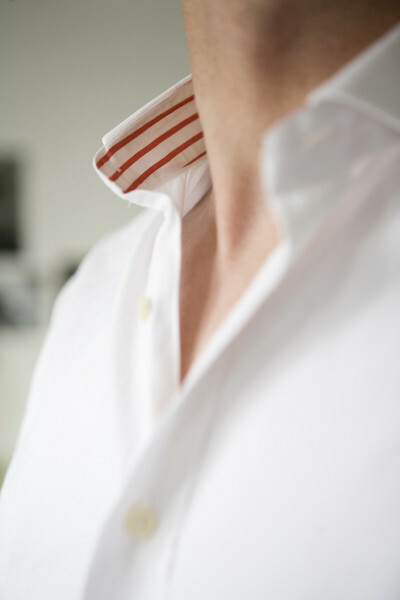 Every Henry Herbert shirt comes with removable brass collar bones, mother of pearl buttons and each one is finished with the finest single stitching. Our shirts start at £140. See also: Bespoke Shirts, london tailored shirts, sea island cotton, weekend shirt. 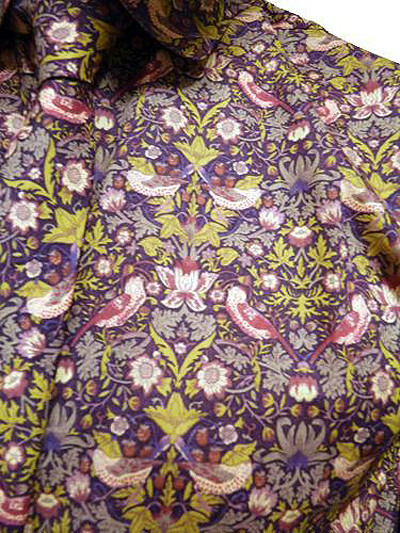 London heritage store Liberty has a vast array of its signature floral prints for sale throughout the year, available to buy both in store and online. Liberty has over a century of hand-drawn floral print archives, which are annually updated to reflect modern trends. Simply buy the fabric, send it to us with your measurements (or an existing shirt to copy from), and we will do the rest. Once we have received the fabric and your instructions, the shirt will take four weeks to make. If the width of the fabric is 30″, we need four metres of fabric per shirt. If the width of the fabric is 60″, we will need two metres of fabric per shirt. 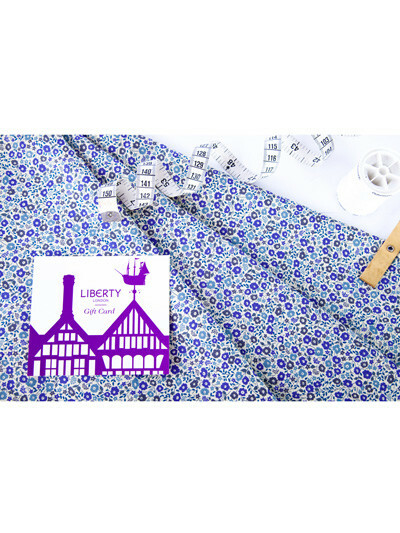 Every Liberty shirt is made to your exact specification and comes with removable brass collar bones, mother of pearl buttons and each one is finished with the finest single stitching. Depending on the style, our Liberty made shirts are £180 + VAT. Bespoke Shirts, Handmade Shirts, Tailor made on Savile Row, London. 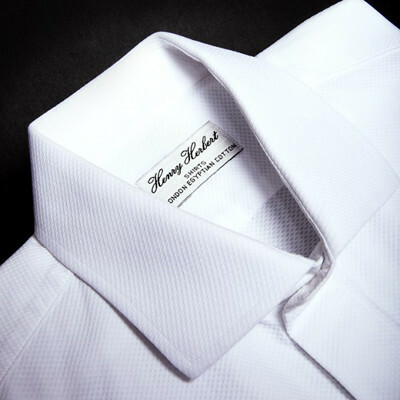 Henry Herbert Tailors make perfectly fitting bespoke shirts. 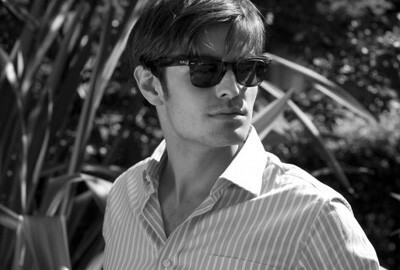 Tailored mens shirts, made in England, made from the finest Egyptian & Italian cottons.